The East Coast startup ecosystem is a force to be reckoned with. Between Washington DC, New England and Silicon Alley, cities and states on the East Coast have shown the world that innovative ideas grow best when sprinkled with a little salt from the Atlantic Ocean. And TechCo plans on showcasing as many as possible. For the fifth year in a row, TechCo is looking to crown the Startup of the Year at our annual conference, Innovate and Celebrate. The 100 semi-finalists represent a wide range of industries, from fintech to edtech and everything in between, showcasing all kinds of innovative products, services, and innovations. 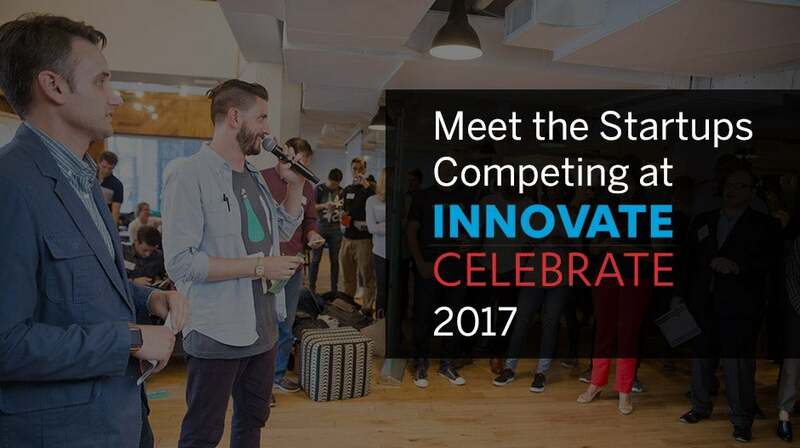 If you’re interested in getting a glimpse at the startups competing at this year’s competition, which takes place at Innovate Celebrate 2017 in San Francisco from October 9th to October 11th, take a look at all the companies hailing from the East Coast below. Also, make sure to vote by clicking on the links provided! Bignay Inc. combines software and hardware to solve issues within urban areas. Their first product is Gi Fly, a smart, electric, maintenance-free bicycle that folds in one second and in one motion. Dropel makes clothing lifeproof. They develop and produce performance-enhanced natural fabrics and fibers for apparel companies. GoBaby, the Airbnb for baby gear on the go, is trying to change stressful travel by providing baby equipment rental marketplace (and app). The app offers mothers and fathers, as well as grandparents and caregivers, an easy way to rent strollers, car seats, and other items they need for their children during trips. The Gooroo app instantly connects students of all ages with the best tutors for in-person sessions. OweYaa tailor-matches employers to high-caliber military talent that complete outsource internship projects. Roam is a network of global coliving spaces that provide everything you need to feel at home and be productive the moment you arrive. Private living space, onsite coworking, and community events. Flexible housing as a service. The future of living and working, connecting the world. Unbound is the empowering sexual wellness brand for women by women. As an ecommerce company, Unbound is changing the shopping experience for women in this deeply personal category. The company is differentiated by focusing on product curation, engaging content, and an exceptional customer experience, all delivered in the guise of a contemporary beauty brand driven by feminist ethos. Yosi’s SaaS platform for doctors is an end-to-end workflow management solution designed to improve efficiencies, reduce wasteful expenditures and increase revenue. Event Nation, is a ticketing and event management platform that allows users to create and manage events through an easy integrated platform. Smart Alto created Ethan, a self-learning algorithm that has text message conversations with real estate lead to book home tours. Did you know that the Apple Store could be brought to you? Fixt is Uber for broken phones and tablets. GeniCan is a first-of-its-kind product allowing users to make grocery lists easily and automatically by turning any trash can or recycle bin into a smart one. LetsAllDoGood enable any cause to reach any supporter on any smartphone. It’s remarkably simple and completely free. The automated turf grass and agricultural intelligence service. We provide drone-enabled water and chemical management technology to golf courses and farms. invisaWear creates smart jewelry that allow users to instantly contact friends, family and police in the event of an emergency. Chimani helps visitors to national parks save time and money, and improve their overall experience. ANGLR is pioneering the connection between digital and physical worlds in fishing. At Module they reimagine what a home is for the 21st century. With their modular design and patent-pending structural system, it’s easy to convert a one bedroom starter unit into a three bedroom house without the headache associated with traditional renovations. Orai fills in all the gaps between sales reps and customers, givings managers, marketers and product leaders the insights they would get from sitting in on every important call. Come join us at the Innovate Celebrate conference in San Francisco, CA. The event will take place October 9-11, and is held in partnership with the Consumer Technology Association (CTA).